Your company can help you get to work. Metropass is an employee-based, discounted, unlimited-ride transit pass. When your company or organization signs up for Metropass, you’re eligible for the best transit pass available. For one low monthly price, Metropass holders get unlimited access to all regional buses and trains. Add stored value to your Metropass to pay a fare that is above $3.25 (for example, select Northstar fares). The pass is purchased on a pre-tax, payroll deduction basis and costs no more than $83 per month, less if your company covers some of the cost. Metropass offers cost and time savings for those who take advantage of this program. Saving big. You pay $83 per month, max – less if your company covers some of the cost. Use it for more than the commute. 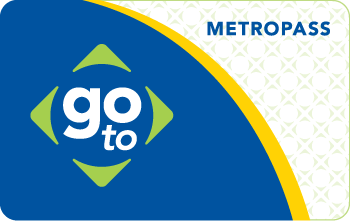 Using Metropass for is great for errands, school, entertainment, shopping and more. The more trips you take using Metropass increases its value as you’re getting more out of your investment. Turn travel time into productive time. Catch up on work, take advantage of the FREE Wi-Fi on our buses and trains, read, text or just relax while someone else drives. Pay your fare instantly. Just touch your pass to a card reader, hop on and ride. The Metropass program helps reduce monthly transit expenses with an already built-in discount from Metro Transit and by allowing you to use pre-tax dollars for your deductions. Deductions are taken from your pay before federal income tax and social security taxes (and commonly, state and local income tax) are withheld. This means your take-home pay is increased by the amount you save in taxes. Your future social security benefit could, however, be reduced because your deductions for this program are exempt from social security taxes, meaning both you and your employer pay less in social security taxes. Increased Exercise: Since most transit trips involved walking or cycling, Metropass customers have more opportunities to get up and move and increasing their daily exercise. Reducing Stress: Walking helps clear the mind and has been proven to help reduce stress. Improved Environment: By switching to Metropass, you are reducing the number of cars on the road and decreasing harmful air and noise pollution. Helping keep everyone healthier! Want it? Tell your employer! Metropass is available only to employees at participating companies. Participating companies must have a minimum of five active Metropass cardholders each month.